The National Policy Statement for Freshwater (NPS-FM) directs Bay of Plenty Regional Council to set new objectives, policies and limits for water management at a local level. Our lakes, rivers, streams, wetlands and the estuaries they flow into are kept healthy for people to enjoy. Water allocation decisions are well informed, sustainable, efficient and based on agreed limits. Te Mana o te Wai (the unique relationship iwi have with freshwater the integrated and holistic wellbeing of freshwater bodies) is recognised and protected. Native plants and animals thrive in healthy freshwater habitats. 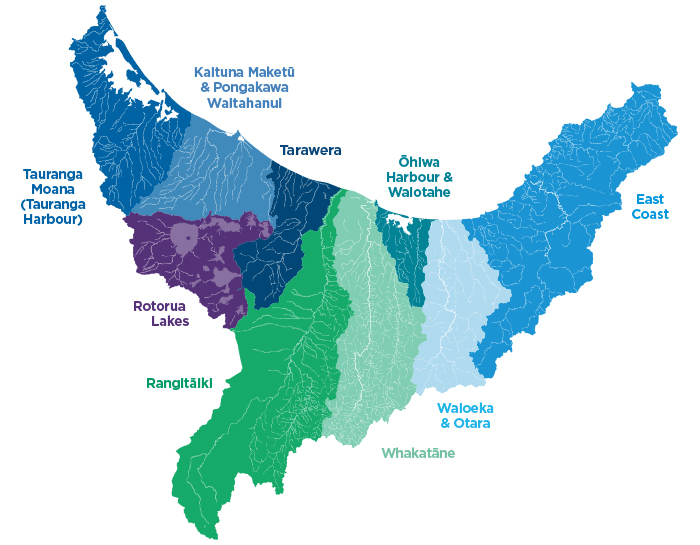 We're consulting with iwi and have established community reference groups in the Kaituna Maketū, Pongakawa Waitahanui and Rangitāiki catchments, as well as a Regional Water Advisory Panel and Territorial Local Authorities (TLA) Freshwater Collaboration Group to inform this work. Public consultation on the proposed Regional Natural Resources Plan changes (as Draft Plan Change 12) will start in 2019. We'll be rolling out similar work in other parts of the region in the coming years. Under the NPS-FM, Council must develop a programme of time-limited stages for implementing the NPS-FM policies set by central government. The staged implementation program is not open for submissions. We've identified nine Water Management Areas (WMAs) to give us practical geographic areas for managing freshwater in the Bay of Plenty. They're based on a range of factors, including physical surface catchments, iwi cultural boundaries, Treaty settlements, major project areas and where people live. But that doesn't mean there won't be some border crossing when required. Water doesn't necessarily stay within a boundary, so there will be times when we won't either. 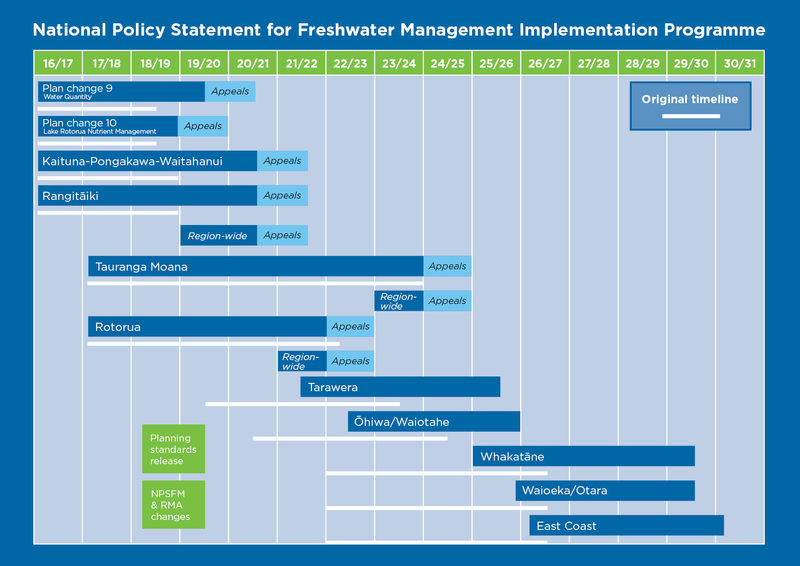 The Bay of Plenty Regional Freshwater Management Framework 2015 outlines the general implementation process for each WMA (page 21). The resulting plan changes will go through the full Resource Management Act 1991 plan making process.